Siam Real Estate & Siam Villa Rentals would like to welcome you to Thailand. We hope you and your family will really enjoy this wonderful opportunity to experience life in one of the most beautiful countries in the world. Whether you are moving here for retirement, spending time or working there are many challenges living as an expatriate, and Thailand is no exception. This information is concise and briefly covers the current issues you may face and need to know about living here. It is a good guideline and is recommended for use as a quick reference only. Besides our property services we offer orientation and assistance services for many of the subjects in this document. See our separate price list and Relocation Questionnaire form (prior to arrival). 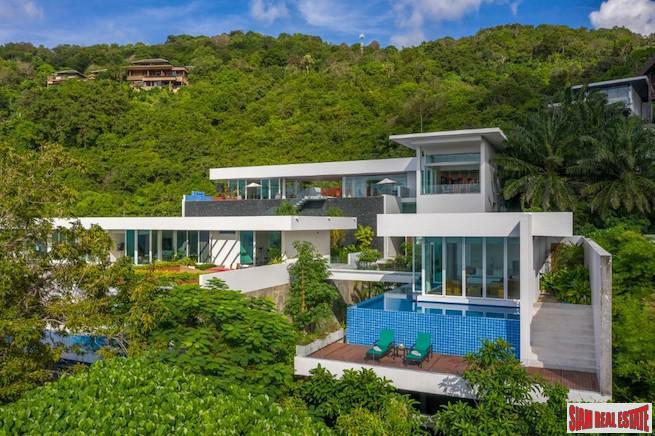 Siam Real Estate Phuket Co.,Ltd 2/42 Moo 4, Viset road, Rawai, Phuket 83130. The population of Thailand is over 65 million, and consists of an ethnic diversity such as Cambodians, Chinese, Indians, Laotians, Malaysians, Vietnamese and also several hill tribes. It is a region which is home to a rich diversity of peoples, languages, cultures, and beautiful landscapes. Not only Thailand is often portrayed as a traditional kingdom in the abundance of cloaked monks, tropical rain forests and agricultural products, but also as a country bursting with modernity. Thailand's rapid economic growth has achieved the acclaim of many businessmen and international bankers. The Thai nation began in the 13th Century. During the 18th Century, the country was known as Siam and was ruled by a king in a monarchy until 1932, when King Rama VII instituted a constitutional monarchy. In 1939, Siam was officially renamed Thailand, as it is known as today. Although Thailand was occupied by the Japanese during World War II, they continued to fight against Communism after the war and increased its ties to the United States. Since 1946, King Rama IX has ruled Thailand. Whilst there have been a number of military dictators running the government since the war, change came in the early 1990s when a non‐military government was formed by King Rama IX with a Prime Minister. Temperatures in Thailand vary with the time of year and the region you are in. In most of the country, temperatures are generally hot and humid, with a cooler season between November and February. March to June is a hot season, with an approximate only two percent of Thailand’s rainfalls during this time. In contrast, between July to October, Thailand sees as much as 98 percent of its annual rainfall. There is only one Time Zone in Thailand. The local time is 7 hours ahead of Greenwich Mean Time and there is no daylight saving time. Thai people are famous to the world for being relaxed, courteous and hospitable. Buddhism is the dominant religion and is the dominant influence on Thai culture. The concept of wai, a way to say hello without using words, is used throughout society as an overall method of paying respect. The physical action of bowing one's head to meet the thumbs of two pressed palms, wai is the most significant social action and has a lot to say about Thai values and customs. Between equals ‐‐ hands close to the body with fingertips reaching just above neck level, but not higher than the chin. Between superior and inferior ‐‐ hands held similar to those above, with head straight or slightly inclined. Between inferior and superior ‐‐ head lowered with fingertips just above the tip of the nose. Wai is used throughout daily life to illustrate different forms of respect to people and objects. When in the presence of a superior, such as a boss or elder, an individual will initiate the wai to place him/herself at their mercy. In most cases, the superior will not return the wai. Another way to view wai is as an expression of inequality. By waiing an individual rather than shaking his/her hand, you are expressing your feeling of inequality in their great presence. Wai is not reserved just for people. You will find many Thais wai temples and important places of worship. In addition, Thais wai to express thanks and gratitude. Until you grow accustomed to wai, it may be wise to offer a handshake or a polite smile and nod. This will prevent any embarrassment for all involved. Westerners are greeted with a traditional handshake, and people should be addressed using “Mr.,” “Mrs.,” or “Miss” followed by their last name. Thais commonly address each other by using the word “Khun” followed by the person’s first name. A last or family name is not normally used unless it is for a formal occasion. Thais tend to be very reserved, but have a good sense of humor and great importance is attached to laughter and a smiling face. In fact, smiling is actually a way of life. It is even used when covering embarrassment or defusing conflict. Always show respect for the King and Queen, as they are the most respected and revered people in Thailand. It is against the law to make fun or reference to the Royal Family in less than a favorable light. Good advice is to avoid discussions about politics, drugs, health related issues, religions or the Monarchy. If you are invited by Thai people into their home, be sure to take off your shoes before entering. When sitting, sit cross‐legged, or tuck your legs beside you; do not stretch them out in front of you as this is considered rude. Whilst it is not obligatory to bring a gift when visiting them, consider bringing gifts like flowers, books or fruit baskets. The biggest problem confronting foreign nationals in Thailand is a language barrier. Since there are so many different ethnic groups in Thailand, not everyone speaks the same language. The official language of the country is Thai. The use of English will be predominantly restricted to your workplace. Although it is necessary for all students wishing to attend university to pass an entrance examination in English, this does not mean that the person will be fluent in English. In addition, several Thais may be rather shy about speaking English. Therefore, your conversations in English will be restricted to those in your office or other foreigners. Buddhism has a major influence on the daily lives of Thai people, and is practiced in the normal course of life. The Buddhist principle teaches one to follow a middle path, avoiding anything extreme and making sure that your well‐being is more important than material items or career achievement. Foreign nationals visiting a Buddhist temple or a sacred place should behave oneself in an appropriate manner, as Thai people may consider some actions as sacrilege. As always, the best course of action may be to follow examples set by the Thais. For all foreigners driving in Thailand is a major shock at first. Besides driving on the left for those who normally drive on the right this is the least of your problems. Thai driving is a free for all and especially motorbikes which are driven with complete abandon and show no concern for others using the roads. Due to the poor standard of driving test (if taken at all) Thais from a very young age as low as 6 years old with no helmet jump on a bike with no test or insurance and that’s it for life. You will find they never look right to see if anything is coming and just enter the main road oblivious of any oncoming traffic. Motorbikes drive down the wrong side of the road and cars tailgate and drive like their life depends on it! The worst is if you have an accident it is ALWAYS your fault regardless if caused by a Thai. The logic is that if you were not here then it wouldn’t have happened! Tipping is not compulsory, however staff in small restaurants, bars are paid little and to leave 20‐100 THB is appreciated. In upscale restaurants service charge is 10%. Taxis overcharge and tip at your discretion. Hotel porters etc. 20 THB is sufficient. Siam Real Estate – www.siamrealestate.com is the largest independent real estate agent in Thailand with representation in Phuket, Bangkok, Pattaya, Samui, Krabi, and Phang Nga. We offer over 5,000 listings of property, land and rentals, so no need to go elsewhere! You can even find what you are looking for on your mobile phone for both iPhone and Android ‐ download free from the Apps marketplace. You can even find property with the NEAR ME feature up to 50km away or as near as 1km! 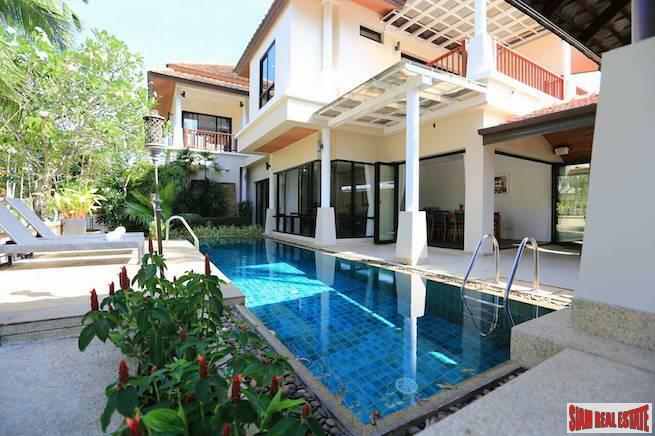 Siam Villa Rentals – www.siamvillarentals.com is our rentals portal with stacks of useful info and a full list of holiday and long term rentals covering most areas. Thailand Property Doctor – www.thailandpropertydoctor.com is a blog and comprehensive resource of advice on all matters relating to living, staying and doing business in Thailand from marriage to building regs. First, by completing our RELOCATION PROFILE questionnaire will give us an overview of your requirements for property, location, schooling, leisure pursuits, hospitals, shopping, lifestyle etc.. Once we have your questionnaire, we can seek out the best locations based on your answers. Our staff when showing you property for rent or purchase can assist with advice and local information on what you need and want to know regards living in Thailand, having many years of experience living here and employing local Thai staff. It is essential when renting a villa, house or apartment that you use a Lease Rental Agreement between the lessor and lessee prior to occupation and that both parties agree the terms. Sometimes the lessor provides an agreement however they tend to be very one sided and we recommend that you use our standard lease agreement which covers fully the interests of both parties. The cost of which is usually shared between the parties. A local lawyer can provide same but at high cost. When you decide to purchase a property or land you will need assistance in land registration and finalizing matters with the seller at the land office. We can provide a qualified experienced Thai person to accompany you to ensure your interests are best served and translation is provided. Siam Real Estate offers these services to obtain a Visa to Thailand. A tourist visa can be used to stay in Thailand for up to 30 days or up to 60 days and can be extended by 30 days at the nearest Immigration office. Normally there is a fee of 1,900 Baht. This type of visa will be issued to applicants who wishing to enter Thailand for tourism purposes. Nationals of countries which are on Thailand’s Tourist Visa Exemption list or have bilateral agreements on visa exemption with Thailand will be permitted to stay for a period of not exceeding 60 days. Nationals from other countries who hold a tourist visa will be permitted to stay in Thailand for a period of not exceeding 30 days. and a study/education visa (ED) is for teachers. Official ( F). Performance of official duties (involving the Thai government). Capital Investment ( IM ). Investment (with concurrence of the ministries and departments concerned). BOI ( IB ). Investment subject to the provision of the laws on investment promotion. (ED). Educational study or observation. (RS). Scientific research or training, or study in an educational institution in the Kingdom. (EX). Performance of skilled or expert work. (S). Participation in an officially recognized sports event. Others “O”. Others, including dependents and retired persons. 2. THAI EMPLOYEES. There are requirements for minimum numbers of Thai employees per Work Permit for foreigners working in Thailand; this is dependent upon the status of the company. BOI approved companies usually have a relaxed ratio of Thai employees to foreign work permit holders. However, other companies will require 4 Thai employees for every work permit. It is important to note that there is an exception to this rule. If the company was formed less than one year prior to submitting the work permit application, the officer will accept 2 Thai employees per work permit. However, when coming to renew the work permit, the usual regulations will be enforced and the company will therefore require at least 4 Thai employees per work permit. Whereas, when applying for the visa Extension of Stay, the immigration requires the company to have at least 4 Thai employees (listed in Social Security Fund 3 months prior to the application). This is a compulsory requirement from the Immigration. 3. TAX, VAT AND SOCIAL FUND. Your company is paying tax and VAT and has the paper work in order. If your company address is in Bangkok, you will also need to ensure that you have paid the first month’s social fund for your Thai employees, keeping the receipt as evidence of this. In other locations around Thailand, you may be required to show more than one month’s social fund receipts, dependent upon the regulations in your province. This is very important. Shady companies with “office in the pocket” are not eligible to apply for a work permit for you! 4. Prepare all the paperwork for work permit application (as outlined below). Having a Thai lawyer or our staff assist you in getting your Thai Work Permit is essential to having the most up to date information on the requirements and minimizing the likelihood of delays and multiple trips to the Labor Department. For non‐permanent residents: A valid passport containing a Non‐Immigrant visa. CV or Resume showing application’s educational qualifications and describing in detail the applicant’s past position, duties, performance, and place and length of employment. A recent medical certificate from a first‐class licensed physician in Thailand stating that the applicant is not of unsound mind and not suffering from leprosy, acute tuberculosis, elephantiasis, narcotic addition or habitual alcoholism including Syphilis. Copy of front page of passport and visa. Three 5×6 cm. full‐faced, bareheaded, black and white or color photographs, taken no more than six months prior to the filing of the application. If the job applied for is subject to a license under a particular law, in addition to the Alien Occupation Law, a photocopy of such license, (e.g. teacher’s license, physician’s license, press card from the Public Relations Department, certificate of missionary status from the Office of Religious Affairs, etc.) shall be attached. If the applicant is married to a Thai national, the original and photocopies of the following must be presented: Marriage certificate, spouse’s identity card, birth certificates of children, household registration, as well as photocopy of every page of the applicant’s passport. Certificate issued by the Commercial Registration Department showing that the organization for which the applicant is going to work, has been duly registered as a juristic person, giving the name of the managing partner and/or director, and its objectives and capital (issued within the past 6 months). A Copy of the list of shareholders of the applicant’s prospective company, certified as correct by the Commercial Registration Department (issued within the past 6 months). If the company maintains a factory, a factory license and/or license to operate a factory, renewed by the Factory Department, Ministry of Industry. If the company maintains a restaurant, a food license. A Bar requires an alcohol license. A hotel a hotel license. Map of place of business. Photos of the office inside and outside, with outside showing the company name and address. Check, check and double‐check! Recheck all documents needed. Your Thai employer will say that everything is in order, but may not be!! So have the lawyer’s Double check! Apply for the work permit at the Labor Department covering the province in which the Company’s Head Office is located. (Employees working in a Branch office in other provinces must still apply in the province where the Head office is located). Most people get refused because they forgot to include a map in Thai showing the location of the company. Some other people get refused because they were not wearing a necktie in the photo. The photos of the office must also show clearly the Company name and address. Double check the requirements! Attorneys know the requirements and thus you will not need to make several unnecessary trips to the Labor Department. The application will take 10 days from the day of submission to the collection at the Labor Department. Pick up your work permit. You will need to pick up your blue work permit book in person at the Labor Department. You will be issued with a work permit valid for either 90 days, 6 months or 12 months; this decision is at the discretion of the officer. In line with new regulations, your visa and work permit are no longer tied together. Therefore, you can have a visa that expires on a completely different date to the work permit. The company must have a fully paid‐up registered capital of 2 million Baht to hire one foreigner, plus one person for every additional 2 million Baht (to a maximum of 10 people). married the cohabiting with a Thai national and has an honest employment. Our Thai staff will accompany you to nominated bank to assist in setting up a bank account and provide translation services. The Thai currency is the Baht (THB), which is divided into 100 Satang. Thai notes are in denominations of 20, 50, 100, 500 and 1,000, with Satang coins available in denominations of 25 and 50. There are also one, two, five and ten Baht coins. Banks are generally open from 9:30 a.m. to 3:30 p.m. from Monday to Friday, except Bank Holidays. Many banks now have outlets in major department stores. These outlets are open for longer hours and on weekend. There are ATMs (Automatic Teller Machines) just about everywhere. Most of them take all international cards. Major credit cards such as American Express ® Card, Carte Blanche, MasterCard and VISA are accepted in leading hotels, restaurants and department stores. Generally, VISA and MasterCard are more widely accepted than American Express. Banking institutions in Thailand are a combination of public and private banks, with the Bank of Thailand (BOT) serving as the central bank for the country. The BOT has revised several of the banking policies, relaxed banking controls and reduced interest rates considerably over the past four years. One of the most important changes made to the banking system was the introduction of Bangkok's International Banking Facility (BIBF), which allows banks to engage in foreign exchange. International banking facilities are on the rise. 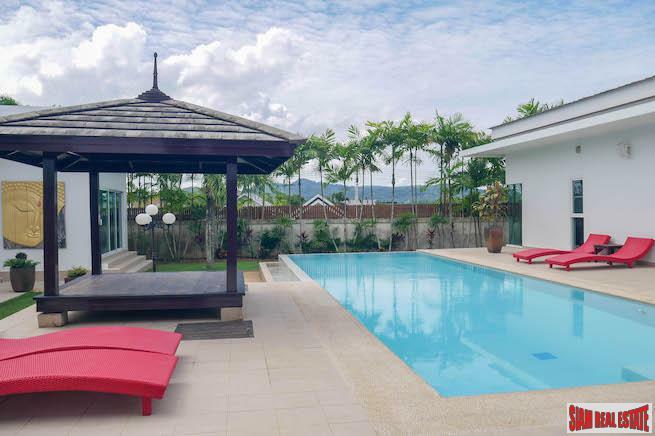 If you decide to own property freehold rather than leasehold you will need to form a Thai company as you cannot own land as a foreigner but can be a director of a Thai company and retain majority voting rights effectively giving you freehold and complete control. Alternatively you may wish to start a business in Thailand and will need expert advice and recommendation of a good Thai lawyer which we can provide. Having formed a Thai company you will need to register foreign staff and Thai staff for social security and we provide this service n your behalf. Probably one of the most important contacts to get right from the outset due to Thailand’s laws not being the easiest to comprehend and a lawyer is required for buying property, business set up and much more. If your company has a turnover of more than 1.8m THB you will need to register for Vat which is currently 7%. Our accountant can provide qtrly, yearly accounts and ensure your company remains legal and pays minimum tax. You will need a registered office address and we can act on your behalf. This can be a harrowing experience and we highly recommend you accompany our staff. Applicants for a driving licence must be at least 18 years old. Applicants for Thai driving licences should be prepared for lengthy queues so it is better to arrive early (between 08:30 and 09:00). It is not possible to make an appointment to take a driving test, but applicants who need to take the test must arrive at 08:30. The whole process will take a few hours to complete. It is best to take along a Thai speaker to assist with interpretation and filling in the relevant forms, which have to be completed in Thai. Take a practical driving test. The driving test takes place within the DLT's grounds on a mock road system and not on the roads. It normally takes no longer than half an hour. Once all the formalities have been completed the person will receive a temporary Thai driving license, valid for one year. After this period the person will need to renew their license and can apply for a license that is valid for five years. To get a motorcycle licence the procedure is essentially the same, but, the test can be done in English. Once the test has been successfully passed there is no maximum size of engine that can be driven. certification of condition items (2) to (5). The animals must come from an area where animal diseases are under control. They are found to be healthy, free from signs of any infectious and contagious diseases including ectoparasitism at the time of export and fit to travel. The country has been free from Rabies for at least the past 12 (twelve) months OR the animals are vaccinated against Rabies with an official approved vaccine not less than 21 (twenty‐ one) days prior to the departure. EITHER a ) The dog is vaccinated against Leptospirosis at least 21(twenty‐one) days preceding departure. OR b ) The dog is subjected to a test for Leptospirosis with negative result during the 30 (thirty) days prior to the departure. The animals shall be vaccinated against other significant infectious or contagious diseases i.e. Distemper, Hepatitis, and Parvovirus, with an official approved vaccine at least 21 (twenty‐one) days prior to the departure. The animals must be conveyed in nose‐and‐paw proof crates designed to avoid any risk of injury or unnecessary suffering. The animals are not allowed to expose to other animals if they have to be landed in transit at any approved intermediate port. They shall not be allowed to leave precinct of the port except to an officially approved transit quarantine area. The animals are subjected to quarantine at approved premises for a period of at least 30 (thirty) days upon arrival during which they shall be submitted to tests and/or treatments deemed necessary. The importer/owner shall be fully charged for the incurred expenses. We can provide full or part time maid service and prices dependent on property size from 800 THB per visit. Our service uses the MARKET APPROACH which examines the title, state, age and condition of the property, the major selling features and compares similar property in the local area and takes into account current market factors, the immediate local environment and any encumbrances to arrive at a fair market price in the present market. The valuation does not review due diligence either right of property or access rights or title ownership. Public utilities and services are also not considered. Due diligence should be carried out by a lawyer. "Valuation is a process of estimation of the most probable price which would be paid for a property under typical market conditions applying at the date of valuation..."
"The value of a property is the present value of all future benefits expected to be obtained from possession of the property"
The ability to provide a professional and accurate Valuation Service relies on a combination of the professionalism of our valuation consultants and the quality of available marketinformation. The residential valuation model used is the Market Approach. Homes are valued based on what an average person would be willing to pay for a similar property. This data is derived by looking at current salesin Phuket. Every attempt is made to use sales that have the same characteristics as the property to be valued (subject property). These would include but are not limited to; area, number of bedrooms, baths etc., if it has a garage etc. If a subject property doesn’t have enough matching sales, adjustments are made to the sale properties most closely resembling that property to create a more equitable value. An example of this would be; if the sale property had a swimming pool and the subject didn’t the sale price would be adjusted to reflect not having a pool. A sale at fair market value is by definition: The amount of money a well‐informed buyer would pay and a well‐informed seller would accept for property that has been on the open market for a reasonable amount of time, assuming neither buyer nor seller is acting under pressure. When a sale is deemed valid it can be used to help determine fair market value for other similar properties. The goal is to value all properties fairly and equally, while being as close to fair market value as possible. The information in this document is from sources we believe to be reliable. However, we have not verified its accuracy and make no guarantee, warranty, or representation about it. It is submitted subject to errors, omissions, change of price, contents or other conditions. You should conduct your own investigation of the property and transaction.